It might seem odd that GPS manufacturers are making cameras given that smartphones are disrupting many sectors. 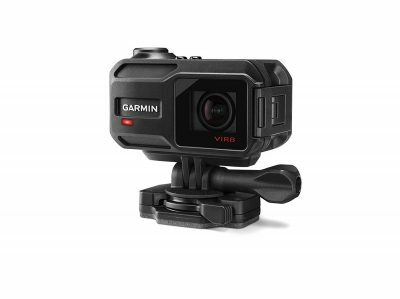 The latest camera to hit the market is VIRB XE an action camera from Garmin. 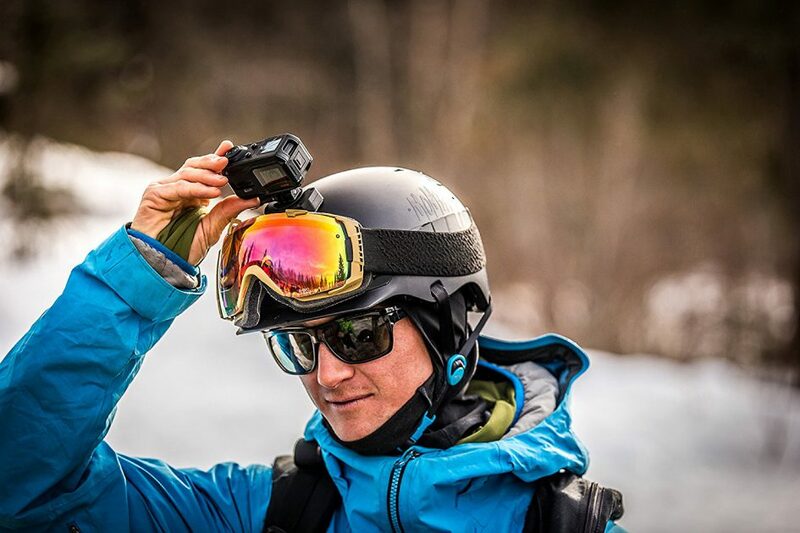 The VIRB XE builds on VIRB Elite the first camera from Garmin, which had amazing features. VIRB Elite is a bullet camera but the new VIRB XE is more like the GoPro, but it has novel features that make it a better alternative to all the new age cameras in the industry. I wrote a detailed article comparing the VIRB XE to the Hero 5 Session, check it here to know who won the competition! Read on to the end of this article for my unbiased Garmin VIRB XE action camera review. The camera makes exceptional videos however limited to 60fps but it offers Full HD quality at 720 at 120 fps, and the GPS and motion sensors add an extra level to video capturing. The battery, microSD card slot, and the lens are on the front of the camera secured by a latch on the side. The VIRB XE lacks a USB port, but Garmin utilizes gold-plated contacts on the left side of the camera and a USB cable with a special attachment. VIRB XE is a waterproof action camera without the need to attach an extra case allowing you to capture amazing footage up to 50 meters or 164 feet under water, and this is one of the areas that it beats the GoPro cameras. This makes it the best camera to take on your next scuba diving trip. The camera operates optimally at extreme temperatures ranging from -20 to 45 degrees celsius. The camera weighs 154 grams without the mounting hardware. 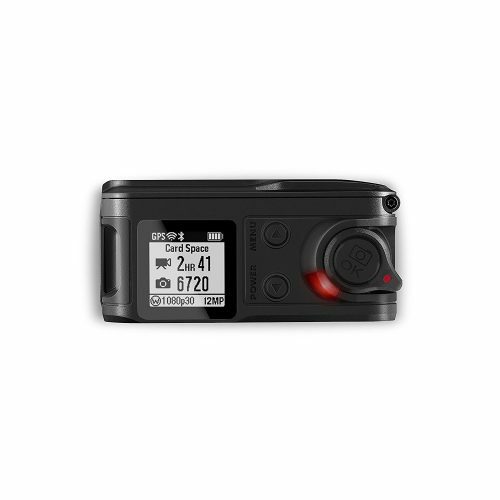 The VIRB XE has expandable memory, of up to a 128 GB. The VIRB XE action camera uses a 980mAh removable battery that gives you two hours of shooting time. Compared to the alternatives in the industry, the two hours is not enough, but it is better than most. The inbuilt LCD screen offers a range of settings. You can configure the field view using two levels of electronic zoom. For better video quality, you can use the lens distortion correction. If you are an experienced videographer, you will love the pro features that come with the VIRB XE action camera. You get flat color and vivid curves, three levels of video sharpening as well as white balance presets ranging from 2,800K to 7,500K. You can also balance the brightness of the image by choosing 400, 1600, or 6400 ISO auto-exposure settings. However, you do not get any control over the iris and shutter though you will love the exposure bias with 13 steps between -2 and +2. You get a logical menu tree you can navigate using two buttons on the right side of the camera controls on the monochrome LCD screen. VIRB XE does not have a recording button, rather than you flick a dial forward to start recording and it is hard to eliminate the uncertainty when you do not see the camera. There is also a shutter button encircled in the dial you can use to take a snap still image without changing the shooting mode. The camera lacks a color LCD touch screen such as the one on the GoPro cameras, but that would have made the camera larger. The screen shows the current configuration settings on the top and the current video and image mode on the bottom as well as remaining battery power and the available SD storage. The VIRB XE connects to various ANT+ sensors types mostly associated with cycling and running such as ANT+ cycling power sensors, Tempe temperature sensors, heart rate straps, cycling speed-only, cadence-only sensors as well as speed and cadence combination sensors. You also get Running dynamics support using Garmin straps. All these sensors are available on the ANT+ menu, but you will have to search the sensor types individually. You can save the sensors on the camera even those of the same type, allowing you to switch bikes. The XE has the same underlying sensor of 1/2.3 inches as the Elite, but it comes with a reduced resolution of 12.4 megapixels. However, unlike the other action cameras, VIRB XE offers image stabilization that is primarily electronic by using gyro-detection to ensure that the images are stable. The VIRB XE offers positive effects while jerking the video, though it is not as effective as an optical system, though it is better than most action cameras. If you do not like the camera sticking out on top, you can hang VIRB XE beneath, and record the video upside down, with amazing quality. VIRB XE has the capability of capturing colorful and bright videos in low light with impressive video grain. VIRB XE has four video settings. Tall that allows 1440p24, 1440p30, or 960p48, 960p60, 960p100 with 4:3 aspect ratio. HD Video that allows 720p30, 720p60, 720p120, 720p120, or 1080p24, 1080p30, 1080p30, 1080p48, 1080p60, with 16:9 aspect ratio. Slow Motion mode that allows 480p240, 720p120, as well as Time Lapse mode that records in 1080p. You can capture video in slow motion 720p120 when in HD Video mode. You can control the field of view, by selecting from Wide, which offers the widest possible shot, Zoom, which is a bit cropped and Ultra-zoom. The VIRB XE offers 1440p at 30fps but it can shoot 1080p at 60fps, 960p at 100fps, and 720p up to 120fps. You will also get a full slow motion mode capturing of 480p at 240fps. VIRB XE has better audio quality than most GoPro cameras. You get a strong Bluetooth you can use to connect external audio devices. However, you get high-quality microphones, though it is disappointing that you only get an average quality of the audio compared to the other action cameras such as GoPro Hero4 Silver. The microphone can be exposed to the vibration, and this lowers the quality of the audio. However, you can limit the effect of the vibrations on the camera allowing you to get better audio quality. The VIRB XE has a one of the best wind reduction microphones, and this makes for amazing audio quality on your videos. Garmin has a smartphone app available for windows phone, Android, and iOS, and it beats that of the other manufacturers. However, it is as extensive to that of GoPro Hero 5 Session and it provides a live preview and large buttons to snap a photo or to start recording. The VIRB app includes a pro settings menu with advanced adjustments including sharpness, exposure, and white balance just to name a few. It also has a color curve feature set in vivid, but you can change to flat. Most videographers prefer to start with flat and change the color grade manually. The app has overlay data metrics, and unlike other camera apps, the live video feed from the camera has a few seconds. Users can also download videos and photos from the app onto your phone, something the previous versions lacked. There is also a desktop app, it is one of the best in the industry, and it can run on Mac and Windows PC. While the mobile app allows you to configure and export the videos, the desktop app has more features. You can deeply customize the gauges and templates and more advanced features to help you edit the videos and photos. Garmin has some of the best mounting bundles on all their products. On VIRB XE, you will get adhesive mounts that come in handy for mounting on curved and flat surfaces. You will also get short and long linkages. However, if you want to attach the VIRB XE on a bar or wrist without using the adhesive mount or tripod, you will have to get extra mounts. In the box, you will get a wide range of mounting kits, including a harness for short and long dogs. GoPro mounts can also be used with the VIRB XE action camera. If you are shopping for an action camera that incorporates data overlay, the Garmin VIRB XE is the best option, it is a better alternative to GoPro, and the VIRB XE and other VIRB apps make it easy to add data to your videos with ease. However, this comes at the expense of the quality of videos and photos. With the two-hour battery life, you will get less time for shooting time, and so you will need to have extra batteries and your charger. However, it would better if Garmin could make the VIRB XE compatible with more third-party applications since it would be better for streaming live events. It is a good buy, especially if you are focused on capturing data along with video, but it is not a fantastic one. The desktop app is amazing and easy to use, but the mobile app is flaky. Despite its shortcomings, this is a fantastic action camera from Garmin, and the data overlay is one of the reasons why it gets good reviews from critics and users alike.